I spotted this series of wedding inspiration photos on Martha Stewart's website, and fell head over heels for the pretty color palette. I just had to arrange the photos in an inspiration board to show them off! 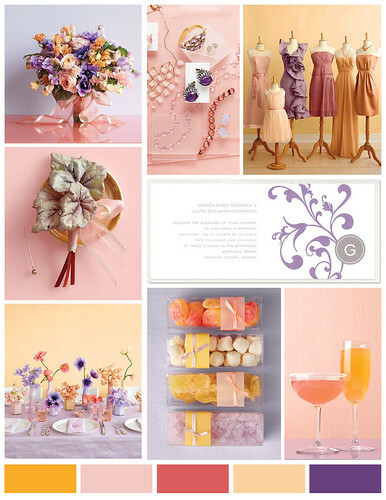 This fresh, vibrant, fun and feminine group of colors is perfect for spring and summer weddings. Think of all the lovely floral arrangements that could be created with this palette!